Allowing air to leak into the home through crevices and cracks may not seem like such a big deal, right? Wrong. Having air leak into your home can add as much as 20% to your heating and cooling bill and bring moisture-filled air inside, increasing the chances of finding mold, condensation, and rot in certain places. While letting fresh air into the home does keep it healthy, controlling the timing as well as the entrance and exit of this air is extremely important to keeping your home free of such issues. Weatherization is your best bet on protecting your home, and in this 5 part blog series youâ€™ll learn just how to do this. Letâ€™s start with identifying the air leaks. One of the tools you can use to discover where the leaks are in your home is the smoke puffer, also known as the air current tester. Among the most efficient of these is the Retrotec Air Current Tester, which produces approximately 1,000 puffs of neutral buoyancy smoke. 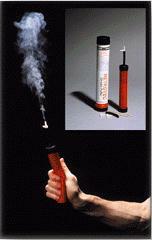 This smoke simplifies the task of finding invisible air leaks in thermal envelopes and duct work. This smoke puffer is packed in a storage tube that is airtight, and can be charged by simply taking the tube and folding it, eliminating the task of pouring chemicals. It can test for room pressure imbalances, air-flow direction, and pressure neutralization among many types of leaks. Another great tool is the thermal leak detector is one of the tools you can use to discover where the leaks are in your home. Using infrared light, it finds â€œsoft spotsâ€ along floor molding, around electrical outlets, and recessed light. The detector has to determine a reference temperature, which can be found buy directing the light to a wall. The infrared light will change to blue or red to point out a cold or hot spot. 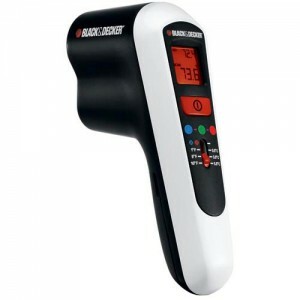 The thermal leak detector weighs less than 1 pound and can cost as little as $50. This winter make sure your home is protected from unwanted air leaks, and what better way to start than to find them?